Hello! I've had my corn snake for 8 years now (he is 9 years old) and a bit more than 5 feet long. He's been living in a 20 gallon tank, and it bothers me that he cant seem to fully stretch out and climb around. So I've decided to start a vivarium project! however i dont know where to start. It seems like all of the vivariums ive seen on this site are quite small, and i want him to have a larger open space. Is a larger space ideal? or no? I will probably make it all glass or plastic for easy cleaning. I've come to the conclusion that temperature and humidity controls will be needed. Plus, of course, hide outs, some branches/foliage, water, etc.. I would like some opinions on preferred/best bedding to use, and opinions on living plants? maybe just some succulents? just for a more natural feel. When it comes to heating, right now i use a heating pad, and ive seen some info on the use of a heating pad with a floor tile that sound cool! can anyone weigh in? With it being a larger enclosure, should i make several "levels" with shelves and holes to get from one to another, or just leave it one big open space with branches? and lastly, best way to clean a complex enclosure like this! Any other advice/information would be greatly appreciated, thanks in advance! Here's one of the enclosures I've build and it just sits around, its 48"x24"x48", so it's pretty large. My snakes hate it, and are scared of such a big space. I always tell people to put them in a smaller enclosure, and just take them out and let them slither around the floor, bed, exc..., If you think they need to stretch. Fact of the matter is, is that snakes like small warm spaces, they feel safe, simple as that. But if you would like a nice viv to look at and more room for your snake I would suggest one that is short and longer, say 36" long x 20" deep x 18 high. Spider drift wood is nice for them to climb on by the way, lots of anchor points for them to hang on to. "This is just my opinion, from my experience". Hope it helps you in making the best decision for you and your animal. 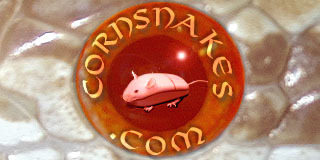 Visit Reptile Lover 23's homepage! Bigger is always better. Despite what people will tell you, snakes are happier in bigger spaces and aren't scared of bigger encloaures. They are, however, VERY scared of wide open spaces. They love clutter. So make sure your bigger tank is full of hides and foliage so they feel secure enough to enjoy the extra space. I honestly like the idea of different levels, that could end up being a pretty cool idea. I've never seen it done, but my only issue would be that you have to make sure the holes to get from one end to the other are big enough that they can't get stuck. For bedding, I prefer aspen. It's easy to find and great for them to burrow in. I personally don't love the way it looks, but that's really secondary. I know this is from earlier this year but thought I would add a suggestion for substrate. You can do what is called a bio-active vivarium. Bio-active vivariums are great because all of their poo, shed and anything else is taken care of by the clean up crew or CUC for short. The best crew for the job are pill bugs, white dwarf Isopods, and springtails. They each have their own specialty but together they do wonders to keep the cage clean as long as you have enough in there to do the job. If their environment is ideal for them then they will continue to reproduce inside the cage and you shouldn't have to replace them so don't let the soil become too dry. You can use lots of live leafy plants to use for ground cover and even add things like bromeliads to add color and there are even some leafy type plants that come in different colors that you can use. There is a group on Facebook called "Bioactive vivaria worldwide (reptiles amphibians and exotics)" or "Bio-active reptiles of North America" that has files that you can get into to read and anyone in the group can help you as well if you can't find the answer you're looking for in the files. Also some other things that you can use as CUC is earthworms, millipedes, and there again may be some additional things that I am missing that are listed in the files. As for substrate of course you would want to use a mix of soil, sand, and even Eco Earth. First you would add clay balls to the floor of your viv for water drainage and to retain moisture, add a single layer of landscaping cloth or some kind of screening material which will keep the layers separated then mix your soil and Eco earth and about 10% mix of sand into your mixture of soil and Eco Earth. you can use things to create natural hides by placing something maybe curved and add the soil mixture over top of it and pack it in so that it makes it appear to be a natural hole. You can also add logs, cork flats, and make climbing sticks. I like using drift wood in my vivs if you can find some on the beach. I would let it dry out in a dry sunny spot outside but other than that I wouldn't worry about doing anything else to it. Some people like to say soaking it in a diluted mixture of bleach and water or putting it in the oven at a certain temp as not to burn the wood but to kill off any bugs but any bugs that might be in the wood should not be harmful to your snake. You can use dried Oak leaves as ground litter. Just make it as natural as possible. I hope this helps you. Good luck making your Natural viv. As for space, it can be as big as you want as long as there are plenty of hides and ground cover for your snake to hide and feel secure it doesn't matter how big a viv it is. I have never heard of snakes being scared of large vivs unless there just aren't enough places for them to hide. The smaller hides you can use the better. They can cram themselves into small spaces and actually do feel more comfortable being in spaces that they can feel the sides of the hide all around them. I have a large 720 gram male Opal that can cram himself into the smallest of spaces and I can't get him out unless I use a female corn snake to entice him out. Good luck with your build.